When Kenisha was 14-15 months old I slowly adapted the Montessori space for a toddler. What I was trying to achieve and still aim at is an independent child who wants help to do everything herself. Creating the Montessori environment aids this development. Creating an environment goes a long way to support your child’s early development needs. And it can be done really easily and quickly. Trust me, you don’t need to be supremely creative or have a huge space or spend thousands on materials and equipment to get started. Lastly, don’t worry about the materials. Use available resources, up-cycle, recycle but just maintain the order. Be the child – crawl on your fours if need be but look at the space from their perspective. How does everything around look? Is there open space? Easy to navigate? Can you reach for your favourite books and toys? Montessori Shelf – The most basic requirement is to have low shelves that allow young children to reach and access the material without adult intervention. As a parent (moderator) you must ensure to explain that these materials are special and need to be handled carefully and put back once used. The items you put on the shelf will vary as per your child’s age and development progress. Keep it organized –Blocks go on one shelve/box, toys in another, books go on bookshelves so on. Keep ample space and let each material “breathe” so as to avoid confusing the child. Don’t let it cram and be overwhelming for the child or rather confusing. Do not control the child but the environment – Your purpose is to support your child’s eagerness to do everything themselves. Support them by providing the right material and environment. when you see them disinterested in the material – remove it, if they have succeeded at a puzzle and no longer find it challenging the move to the next level. Kids feel disheartened if they ask to play with materials that you do not wish them to enjoy yet. Keep them away instead, till you find them ready. This is such an excellent resourse for parents of toddlers. I would have never thought about setting up montessory set up at home. Very Interesting tips. We didn’t try these though, am sure would have helped our kid gel well with pre school 2 years back. I have forwarded the link to my sister who was interested in doing something similar. My daughter-in-law is home schooling her four year old daughter. Your tips will be most useful to her, though she has set up most of these already. Thank you for sharing. Looks like fabulous idea for young moms. I loved the way you penned this article. Yes, you are right that we have to control our environment than we control our kids. Happy to join with you for #MyFriendAlexa. Your space looks warm and welcoming as well as challenging to a toddler. It’s a great idea to have a set up such as this one at home. When my twins were young I did let them do a lot things and indulge in all kinds of activities but I was no where as organised as you are. Very nice and interesting post. A must read for the parents having growing children… Very nicely articulated mentioning the details very neatly!! Thanks for sharing!! Quite an insightful post! I always thought creating a montessori set up is tough and would require a lot of DIY on my part. But it isn’t so. Hoping to try this soon. Super informative post with an eye to details. Super helpful post, Karuna.. I’ve started putting together stuff for my kid, and this is a wonderful, concise guide. This would be really helpful to parents who are interested in this!! Wow..these are some great ideas for homeschooling a child. You are a hard working and a creative mom. Keep going. Lovely. I will pass it on to my expectant friends. Too bad I missed the bus in having such a set up for my now 7 year old. You have a lovely blog Karuna. The blog name stayed with me since blogchatter lunch. 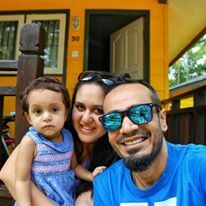 May I suggest you share the links to your blog on FB communities like Gurgaon Mom ( if you do not already ) as I read some queries there on homeschooling for toddlers. This is one power house of a resource for parents. More power to you! I wish I had someone to forward this. I would like to have such a place for my future kid in my home. Very informative post. Creating an organized environment definitely helps the child to get in the habit of putting things at their respective places. And this can only happen if they see things arranged that way. Your Montessori setup looks perfect!! I have a 15 months old and whenever I ask him to give me some particular toy, he knows where to look for because they are at his eye level ad easily accessible. This is amazing Karuna. You’ve really got an amazing home-school setup and I’m sure it has been a very enriching experience for K.
Wow its very informative post for moms of toddlers. I never even think about setting any area like this in my house for my toddlers. It’s very useful for kids learning and growing in the house environment. Great idea. Not exactly same but I will try something like this in my house too. You have made it sound like its an easy thing but I know that it isn’t. A very good job done there ! This is an insightful post for a parent like me. Let me see if I can try setting it up at home. This is very interesting. I believe that this will definitely help in the toddlers process of transitioning, learning and most of being intuitive at a very early stage. A good list for setting up a structure around the child. well written. Wow! That’s quite an enlightening post on how to setup a montessori classroom at home and am sure a greatly useful guide for young parents.